Brexit have been keen focus area for the global economy in order to get an idea about the opportunities and deaths of opportunities arising from the same. EU is totally under a mixed bag scenario where the latest election win by Merkel is also under intense pressure as her chair is having 4 different collation parties support. Among all these doldrums I find France is going to be the biggest growth contributor for the EU and particularly a strong supporter for Merkel in his policy frame works in the long term. France is going to be the biggest growth opportunity market for the EU after Brexit and its preparing itself for the same. President Emmanuel Macron’s reform policies are going to be huge contributor for the economic growth of France over the next decade. 39 years old President is having enough oxygen in his blood to pump up the France Economy and became a strong contributor to the EU on the large picture. The president is pushing technological shifts and adoption at rapid space which will change the traditional industries of France in the long term. These changes will create new job opportunities and attraction for VC funds in his country. 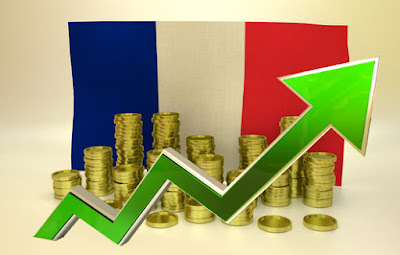 Innovation have been given huge thrust followed with entrepreneurship so as to adopt technology and make massive restructuring in its economy followed with Tax cuts, converting wealth tax into property tax adoption of Artificial Intelligence in its business and services creating huge flow of opportunities for many countries to invest in France. Reform measures have been going good till now and one of the biggest achievements have been the Labour reform measures in France which plays pivotal role for the industrial investments to grow in France. Machine learning, artificial intelligence (AI) and big data are being highly applied and adopted in the industries in France. Service industry will get huge boost up as technology will smoothen the process and innovation cult will play the tunes of growth for France. France auto industry is coming up in big way with innovate technological driven products in the coming years very soon. Young French graduates are increasingly trying their luck with startups. The step towards reducing the corporate tax rate from 33% to 25% over five years plays pivotal role to push up the climate of investments in his country. The President is committed to improve not only the GDP but also to become a close alia of Germany. A huge focus has been deployed to improve the education and qualification of France so as to match the demand for the global economy. The whole of EU and Germany will support France in all respect after Brexit since France is a permanent member of the UN Security Council and a nuclear power, will be the EU’s only member with military muscle. French venture capital funds have raised €2.7 billion (£2.4 billion) from investors so far this year, compared with €2.3 billion in the UK, the first time France has raised more venture capital money. In the area of education its being found that by the age of 15, 40% of French pupils from poorer backgrounds are “in difficulty”, a figure six percentage points above the OECD average. French schools, with their demanding academic content and testing, do well by the brightest children, but often fail those at the bottom. This is the key place where they are working to make over the traditional education polices. This will uplift the quality of education and manpower in the long term. The Recent trouble of NATO and Paris Climate issues keeps France as strong supporter for the EU to stand together. Brexit and Merkel’s current condition creates immense opportunity for thr new President to negotiate and get the best for his country. The way the economic growth factors are being looked upon by the President its well clear that in coming months we will witness some healthy growth numbers from France and many countries of EU involved in this growth journey. Those looking for investment opportunities can look towards France and be rest assured that the adversities of EU will be beneficial for the France followed with a strong support from Merkel who in her last term have to play lot of music. Neither France nor EU will get second chance to turn around the whole of the economy from the collapse faced in this decade.